Tanzanian president John Pombe Magufuli has reportedly banned the wearing of miniskirts in the country saying he believes the garments, along with short dresses, encourage the spread of HIV/Aids. Tanzania Cultural Development Director Herman Mwansoko said all Tanzanian women have three months within which to "get rid of miniskirts for replacement with decent garments." This is the latest sweeping move from the strict moralist who recently banned Twerking. Magufuli said the rhythmic gyrating of the lower fleshy extremities in a lascivious manner would dilute the much respected African traditional dances. Following his sweeping victory last October, Magufuli has become an international hero due to cost-cutting measures that he introduced across the country. 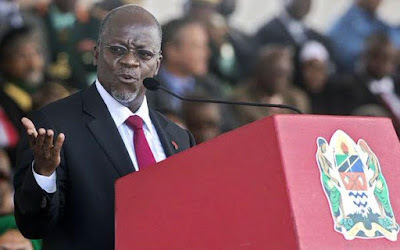 Earlier this month, Magufuli is said to have ordered that all foreigners, including Kenyans with or without work permits, to relinquish their jobs to the Tanzanians. He also banned issuance of Christmas cards by government officials, saying those who wished to send them out must use their personal resources.